Beginning with the three day judicial retreat, the Chief Justice of India and Judges of the Supreme Court of India were briefed for almost an hour on Friday, in a closed door session conducted by National Security Advisor (NSA) Ajit Doval. 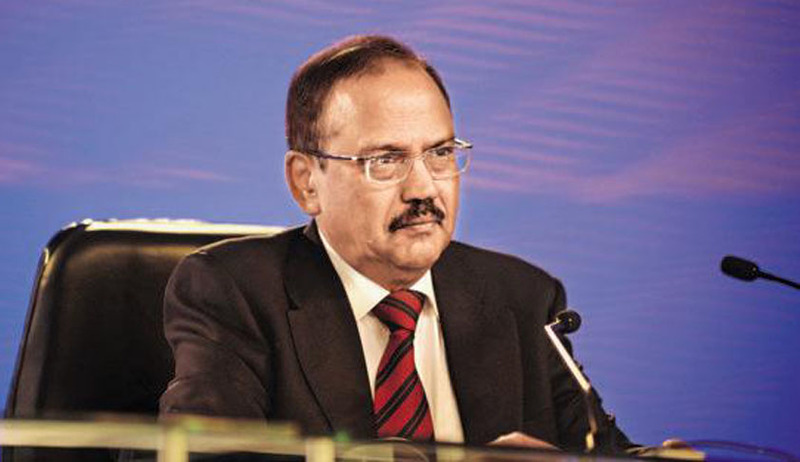 Mr. Doval reportedly sought “more cooperation” from the judicial system, in “speeding up” the judicial system, underlining that “national security should be a non-partisan issue”. He shared the idea of an “Indian master plan” to toughen national security, by adopting an “integrated synchronized approach”. He further emphasized on the need to view national security as a non-partisan issue, instead of viewing it from a political prism. He also elaborated on the importance of technology, to be employed as a weapon to fight terrorism. Dwelling into the link between administration of justice and national security, he pointed out that “delayed justice in terror-related and espionage cases” affects the system. He also listed out a few acts which were having a negative impact on the security systems. Supreme Court Judges have gathered for a three-day judicial retreat at the National Judicial Academy, Bhopal campus, which boasts of recreational facilities including a fully-equipped gymnasium, swimming pool, sauna, tennis, billiards besides a 280-seater state- of-the-art auditorium and conference and seminar rooms. You may read more about the retreat here. Soon after the retreat’s schedule made news, Campaign for Judicial Accountability and Reform had demanded that human rights organizations and lawyers be invited for the briefing of Judges. In the letter, CJAR Convenor Advocate Prashant Bhushan had emphasized on the conflict between the perspectives offered by the security agencies and those that are offered by human rights organizations, on the legitimacy of several actions undertaken by security agencies. You may read the LiveLaw story here.